"The idea of writing a book of brief descriptions of imaginary cities, condensing into it the grandure and tragedy of five milliennia of urban history, came to me by chance, while I was in charge of the Architecture and Urbanism section of the review Scânteia. A writer had protested in an open letter against the demolition of an historic building, and the editors asked me to respond, which I did by writing the story "Musaeum." It was the autumn of 1969, a year after the Russian tanks invaded Prague, an invasion openly condemned by Ceauşescu, a time when many people, not only in Bucharest, believe (what a mistake!) that Romania was evolving towards democaracy." 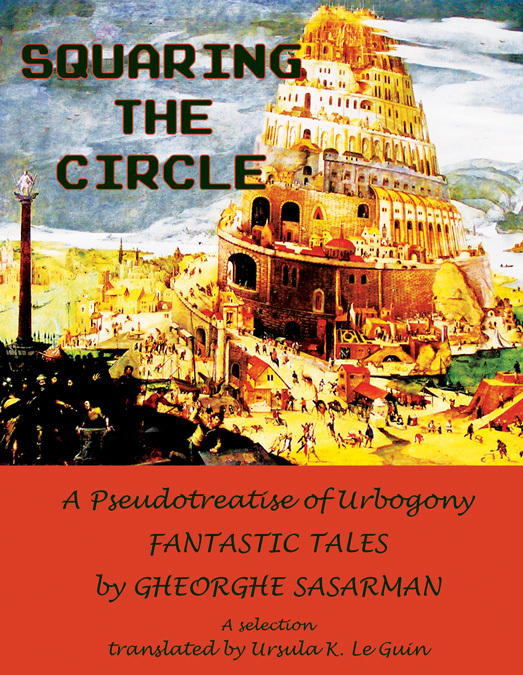 "Squaring the Circle is highly readable. And it's fun. It gives us all the pleasure of a travel guide, and the addiitional pleasure of being—in spite of the meticulous description—unreal. As it turns out, a cityscape can be as interesting as a bildungsroman and as meaningful. The first section of Squaring the Circle, 'Vavylon,' is a fine description of a class society that claims to be egalitarian. Anyone can climb to the top of the ziggurat, except the ramps are greased. I thought of Stalinist Romania when I read it, but it could also apply to the US."